Use our learning resource tools to enhance your practice and teaching methods. Adapted from Teresa Signorelli by Sarah Konopka, Director of Speech & Language Services. A Mediated Learning Experience (MLE) refers to the way in which learnings in a particular setting or environment are transformed by a mediating agent; a parent, educator, clinician, sibling etc. The quality of human interaction is important for a MLE. Learnings are guided by intention, culture, emotion in order to enhance and organize the learning stimuli for the student. Clear intentions and goals are set for enhanced and effective functioning. The student acquires patterns, awareness and strategies whilst fully understanding the learning intention. Thinking about objects and events in this manner allows the learner to develop appropriate developmental cognition and executive functioning and incorporate learning strategies into their behavioral repertoire. 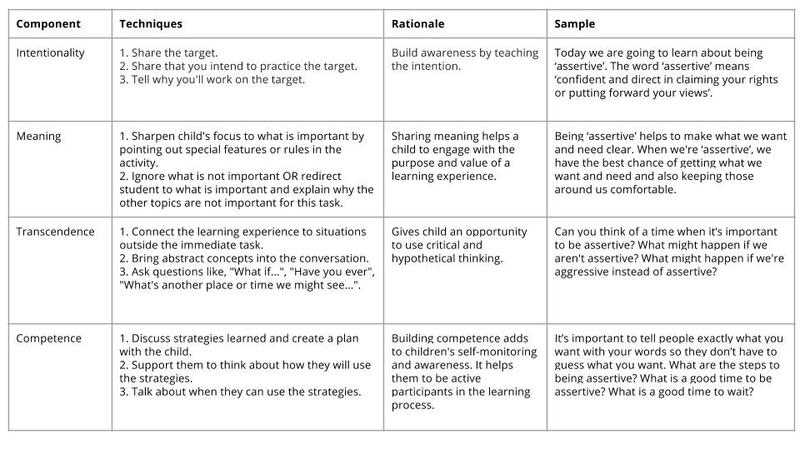 Opportunities: are identified to train and foster learning strategies. The Goal: To empower the child to be an independent and self-directed learner.